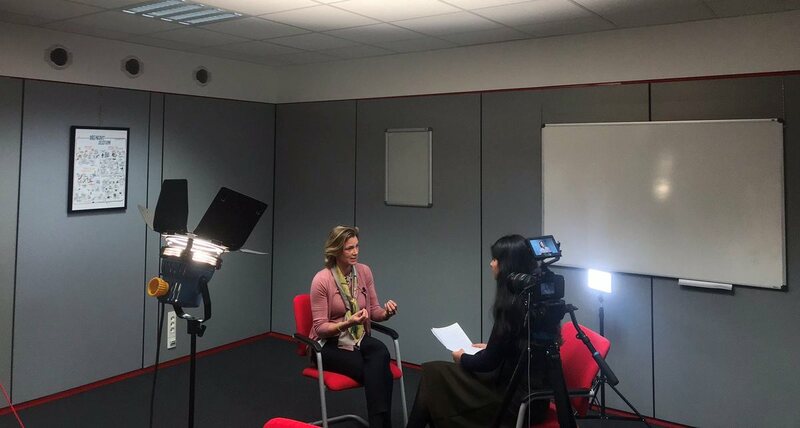 As Part of our Monday Talks series, we have conducted an interview with Katharina Von Schnurbein, European Coordinator on Combating Antisemitism, to discuss the rise of Antisemitism in Europe and the European way of combating it. This interview was recorded on Thursday the 25th of October 2018 before the Antisemitic attack on the Pittsburgh synagogue. To see the EU reaction to the Antisemitic attack, click here for the Statement by the EEAS’ Spokesperson. Ravija Harjai: The 2012 survey on discrimination and hate crime against Jews, conducted by the European Union Agency for Fundamental Rights, was instrumental in your appointment and it strengthened the conviction in the EU to respond to Antisemitism. 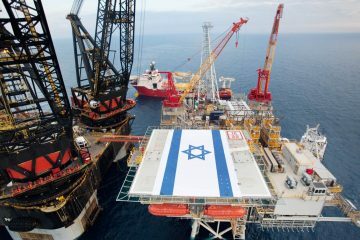 In that survey, “about 90% of the respondents in Belgium and France reported that the Israeli-Arab conflict has a notable impact on their feelings of safety as Jews”. 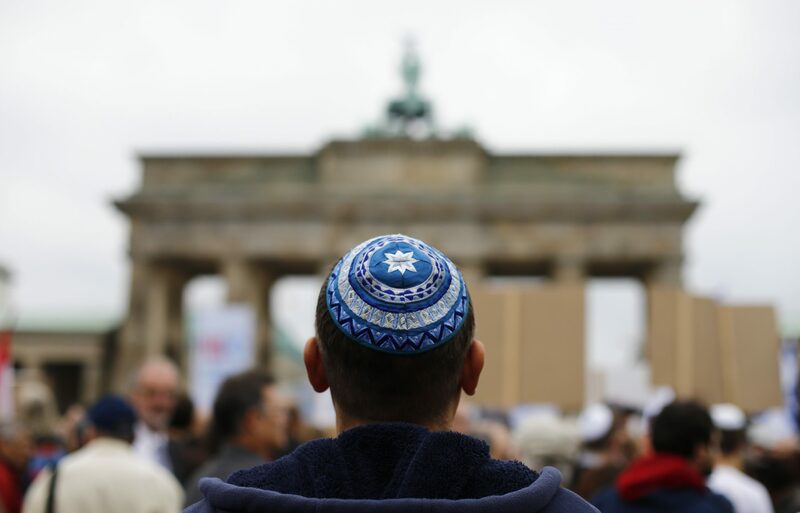 How do you navigate the tension, towards the conflict, and the backlash that Jewish communities may experience here in Europe, as a result of it? Katharina Von Schnurbein: We have been very clear that violence against Jews, because there’s a conflict somewhere else in the world, is completely unacceptable. We need to establish that, in more general terms, no conflict anywhere in the world justifies violence back here. We have been clear also that it is important that Jews can feel safe here, that they can make life choices just like anybody else with regards to where they want to live and to which schools they want to send their children. The leadership of the European Commission, First VicePresident Timmermans and also Commissioner Jourová have been very clear that such violence is unacceptable and it is unacceptable to justify it whatever political opinion one might have with regards to the conflict in the Middle East. We have also been very clear, for example, and condemned the way the demonstrations in December 2017 were carried out on the streets of Europe where clearly the line towards Antisemitism was overstepped again and again. Rajiva Harjai: In 2016, the European Commission agreed on a “Code of conduct on countering illegal hate speech online” which requires online platforms to assess and, if necessary, to remove material that violates EU and national legislation regarding hate speech. What is your assessment of the response from online platforms such as Facebook, Twitter, YouTube, Instagram? Do you think they have responded adequately? Katharina Von Schnurbein: Because there has been this increase illegal hate speech on the internet, we approached the big IT companies in 2015 and concluded this code of conduct. We think there has been progress in the way they acknowledge the problem and they have a responsibility to keep their platforms clean. It should not become a platform of hatred. It is also bad for their reputation. We see that there has been progress in the time in which things have been taken down and in the way they are transparent as to when things are taken down. There needs to be more transparency when things are not being taken down. There has been a general increase of capacity with regards to understanding what is illegal hate speech because that is the basis for removing hate speech on the internet. That capacity needs to further increase. We have, on our side, started to work with about 30 NGOs that specialize in that field to actually flag to the internet companies illegal hate speech. There we see a significant increase of takedowns when it comes from those organizations. 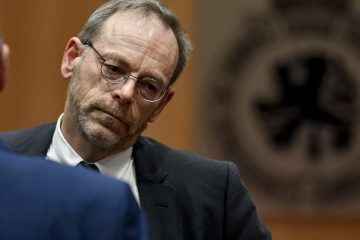 There is progress but a lot more needs to be done because in the end the internet has become a new reality and what is illegal in the real world is also illegal on the internet. Next to the responsibilities of the platforms, there is also the responsibilitiy of the state to bring the perpetrators to court just as if they had incited in the real world. Ravija Harjai: The Institute of Jewish Policy Research in the UK has identified an increase in emigration of Jews, especially from France, alongside with the increase in Antisemitism. How do you comment on the juxtaposition of these two things? Katharina Von Schnurbein: Indeed. The fact that Jews are leaving Europe, that they are concerned about their future here is a very bad signal for Europe. We have, time and time again, said that Jews need to have a future because without Jews Europe is no longer Europe. We don’t have data with regards to exactly why people leave France. For example, there was a peak in 2015 which was most certainly linked to the attacks on Charlie Hebdo and Hypercacher (Jewish supermarket) and that has now gone down again. However, all over Europe, with the exception of the UK, the Jewish community is declining. It is clear that for Europe this should be a big concern and I think that there is a lack of acknowledgement to the extent to which this indeed is a challenge. We spend a lot of time explaining why Antisemitism is not only a threat to the Jews and why it’s a threat to society at large. We have seen in the past in history in Europe when Jews don’t feel safe in Europe anymore, it’s bad for Europe. That is something we need to explain. We need to explain with regards to the Member States and different institutions, with regards to the general public because we see that when the acknowledgement is there, the action will follow. With regards to the different aspects in the education sector, the security sector and data collection by law enforcement agencies. We need the whole range of policies and that will happen only if the acknowledgement is there. In that respect we have moved things forward on the European level. We have endorsed a definition on Antisemitism that is clear with regards to the red lines, for example, between criticizing Israel and Antisemitism, which is very important in the public debate in Europe today. These things are addressed in the definition and it is very important that we use that in public discourse. The European Parliament adopted a resolution whereby they also adopted that definition and then recommended the Member States to adopt and apply the definition because it’s only useful if it is applied. For example, in the training of the police, law enforcement agencies, and for the education sector. Now we are in the process of the Austrian presidency to prepare a declaration on Antisemitism by all the 28 Member States which would be a very good step forward. A clear declaration that Antisemitism in Europe is unacceptable and we will do everything we can to counter it. Ravija Harjai: In a way, it is difficult to have a complete explanation of the reasons Antisemitism has increased. 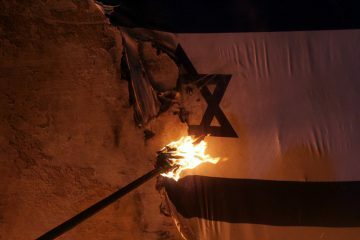 On the one hand, it may be that those with anti-Jewish sentiments now feel emboldened with the rise of the far right parties and movements, or perhaps that there are new converts who didn’t harbour these feelings before. In this regard, you have previously said that the “flood gates have been opened”. Can you explain what you mean by that? 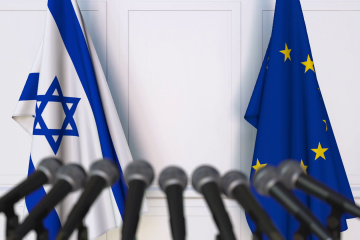 Generally, what both Member States and EU should concretely do, in addition of the measures and policies adopted so far, to counter the rise of Antisemitism? 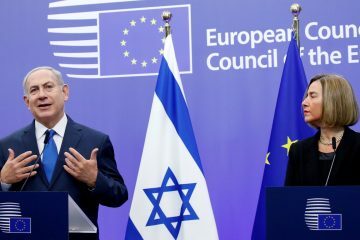 Katharina Von Schnurbein: When speaking to the Jewish community, and this has been one of the main parts of my mandate to really reach out to the Jewish community and to listen to their concerns and to bring this back to the European Commission and to report also to the political leadership of the Commission. What we have seen is that they clearly perceive this threat. There is not a natural compass anymore to what can be said. I think this is, by the way, not true not only in regards to the Jewish community or Antisemitism. It’s more general about how do you behave on social media, the things that people write would they actually say it into the face of somebody or not. This is what I meant by “the floodgates have opened”. There don’t seem to be the natural boundaries that we used to have anymore and that is very difficult. It is one thing to see illegal hate speech which is clearly criminalised by law and then there is speech that is not helpful in the public discourse because it is offensive to somebody else. It is not necessarily illegal. It is like with this definition on anti-Semitism. Not all Antisemitic expressions are illegal but it is not helpful if we want to have a community in which we can all live together in our diversity with respect to the other and with acknowledgement that with rights we have acquired, thankfully, for the individual, comes responsibility towards the society. It is very important with regards to the fight against Antisemitism that both sides are important. Rights and responsibility. Ravija Harjai: There are serious concerns that Holocaust denialism and revisionism is increasing. How much of the rise in Antisemitism can be attributed to this and what role does education about Europe’s past play in the response? Katharina Von Schnurbein: It is difficult to say how much Antisemitism comes from Holocaust denial. Very clearly, when there is Holocaust denial, the root is Antisemitism. That is very clear. We also see that the blatant denial is not so visible but what is quite visible is the trivialization of the Holocaust, the idea that the Jews are exaggerating the numbers is clearly Antisemitic; that Israel is using, or the Jews are using the Holocaust, in their favor. All these ideas are the underlying motives that create and come from Antisemitism. It is also important to improve the knowledge about Jewish life throughout the centuries in Europe in order then to understand what an incredible tragedy the Holocaust was because we often talk about the figures, the 6 million, which is of course ungraspable in itself. When it comes down to understanding, for example, the individual fates of people or understanding what culture was wiped out by the Holocaust and has only, to some extent, been restored. To a very small extent, actually. Holocaust education can only do so much when it comes to the prevention of Antisemitism. You see in the discourse that clearly people support, for example, Holocaust remembrance but they will still be very critical towards Jews and blame them for supporting Israel today. We have to have both. We have to have Holocaust education but also research and training for teachers because they are exposed to this on a daily basis. So, all of that together can help to dismantle prejudices. The three building blocks: Jewish life, Holocaust remembrance and education and clear explanation of what Antisemitism means today need to go together. Ravja Harjai: In your previous role as “Coordinator for the dialogue between the European Commission and churches, religious associations or communities as well as philosophical and non-confessional organisations”, you have experience working with community organizations and institutions. In your current position, how is the response being coordinated with other religious communities and why should non Jewish groups get involved? Katharina Von Schnurbein: Non-Jews should get involved because when Antisemitism is on the rise, it is bad for all of us. It is in everybody’s self-interest to clearly speak up against any form of Antisemitism but that means you need to understand what it is. I think it is important that society at large becomes more aware of that. In regards to the exchange and meetings between the religious groups and organizations, it is very important and symbolic. It is very beneficial to all those who are involved and for example, when there are meetings between Jewish and Muslim representatives it’s always a picture that is an important message to society at large. It can also only do so much. It is important that we understand and build coalitions and speak up for each other and there are some countries where it is done in a good way. On the other hand, I don’t think we can put the burden of general challenges in society, of bridging between the different cultures, of creating a diversity that is meaningful and still has one community in a way. We cannot put that on certain groups only. You have to make sure there is a meaningful dialogue between the communities and mainstream society and that the doors are open to enter into mainstream society and any kinds of hurdles with regards to education or housing are being addressed and improved for the various communities.